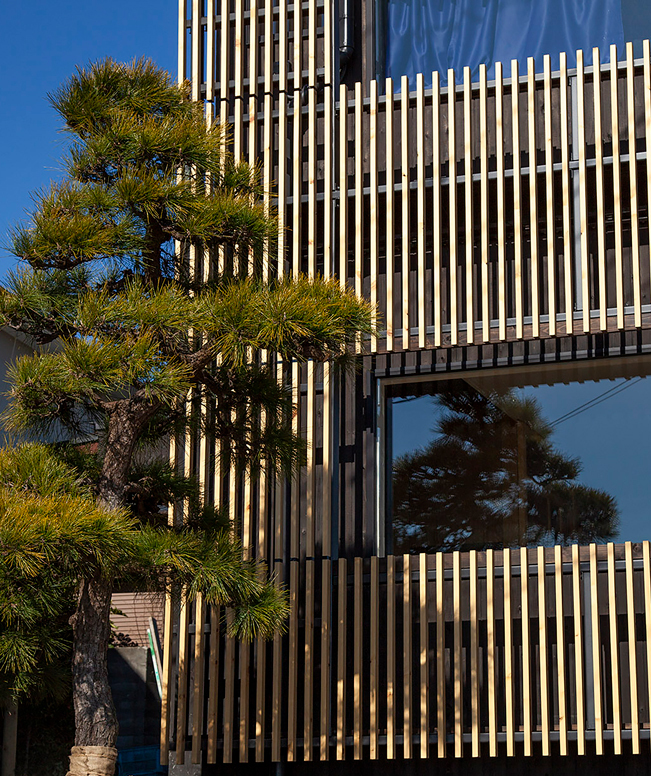 kishi-ke modern ryokan is a private retreat by the ocean in Kamakura, Japan. We are more than an accommodation. We want to make your life a bit better and your travel extraordinary. We have selected activities, experiences, food, people, things for you to feel and explore. If you find during your visit something good for your inner self to take back home, we would be delighted. 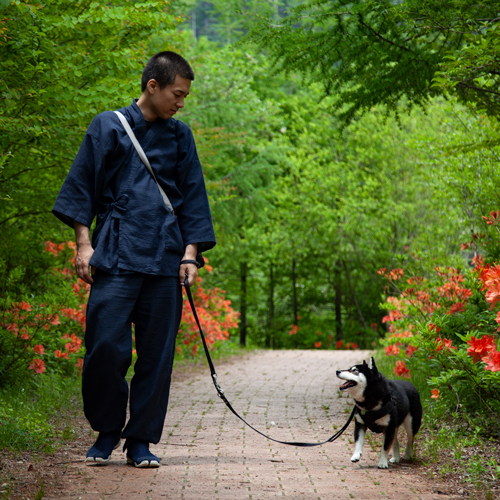 Our favorite zen concept is chisoku – to know the feeling of being fulfilled with the now. 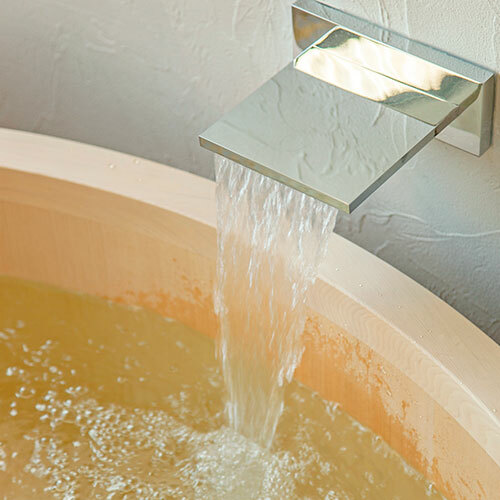 Everything in kishi–ke is there to bring you closer to feel it. 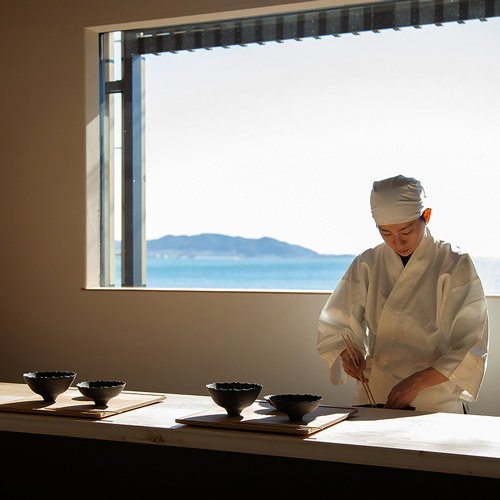 There are many ways to enjoy your stay at kishi–ke and we do our best to help you have an unforgettable experience. The word ryokan consists of two characters – first means ‘travel’ and the second means ‘building, house’. 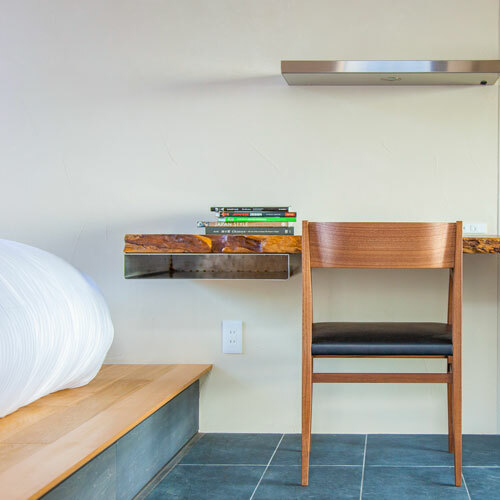 We want kishi–ke to become your house, luxury home during your travel. A place where you can feel Japanese spirit and culture and spend a great time, making wonderful memories and savoring the life of local. 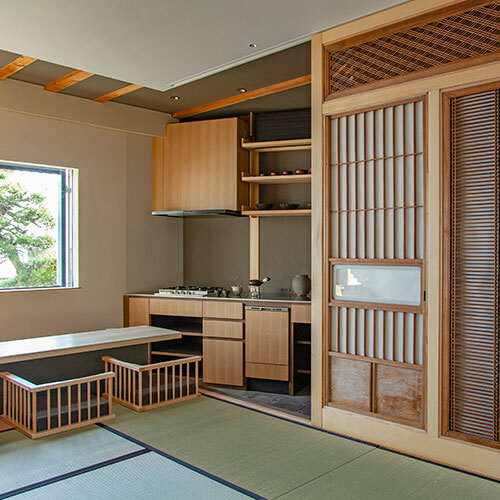 In contrast to most ryokans you have all the space for yourself with the privacy you need. Just one group up to 5 people at once. For people who want something different. 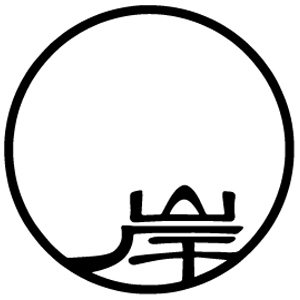 Chisoku means “to know the feeling of being fulfilled”. We think of this zen concept more broadly. To be satisfied with the now + gaining a positive attitude toward the future. How to achieve it? We believe focusing on the now, finding the satisfaction can be achieved by many things and that’s why we’ve prepared various experiences which can help you to size the feeling of chisoku. Explore a world that many don’t ever see, gain new experience, skills and connect with local people. To help you choose the best unique experiences we’ve prepared several packages. Each consists of private lessons conducted by authentic Masters. This is an exceptional chance to feel chisoku and experience something not many do. Welcome to the unique world of Japanese tea. 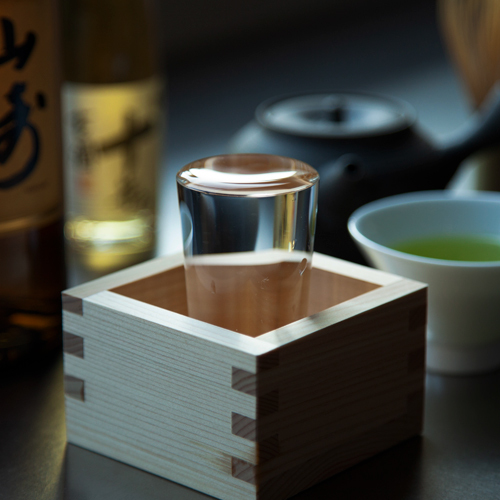 Matcha, sencha, bancha, hojicha… Various teas, various ways to drink them. We want to guide you and provide you with the authentic experience of the tea ceremonies. Would you like some tea? 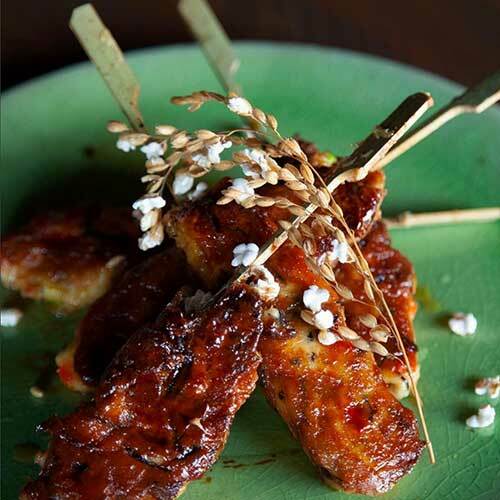 Shojin cuisine – the plant-based cuisine of Buddhist monks. Water sports. Katana practice with the real sword. Zen meditations. Vegetable sushi. A variety of experiences we believe are the best for our guests. The tasty and outstanding way of experiencing Japan! The old capital of Japan is full of temples, shrines, old buildings, the Great Buddha Statue, seasonal festivals… Kamakura is also filled with many natural attractions – you can enjoy hiking trails, water sports, cherry blossoms, autumn foliage. A tourist place which remained local. Thank you for visiting our website. We believe that there is something we can offer to the world, something more than just an accommodation, food and sightseeing. Through chisoku we want to give you a deeper experience that goes beyond tourism. 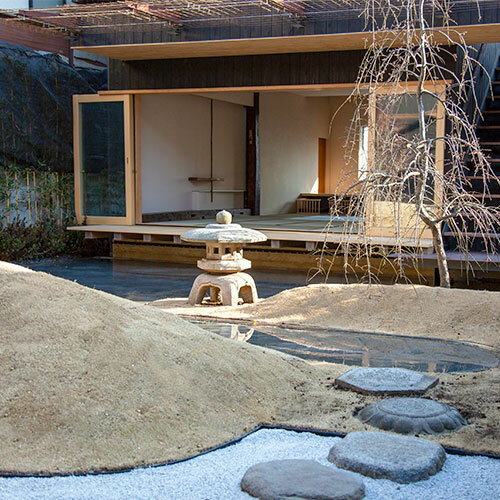 We are looking forward to having you at our modern ryokan! CEO of Kishike Co. Ltd.
I’m born and raised in Tokyo. I’m descendant of samurai family from Okayama and since 2016 I’m also the 16th head of the family. At university, I was a part of the windsurfing club and it made me spent a lot of time in Kamakura. After graduating I was working in sales for a trading company and during my work I have met many people working in this hectic world. I started to think if there is a way to achieve peace of mind. Then I remembered what I was taught by my late grandfather – the chisoku. Ocean and mountains. Zen temples. Samurai families. Kamakura! In the old capital of Japan, I have found all of these. I fell in love with this place and I decided to establish the kishi–ke modern ryokan here in Kamakura. I hope people can find their chisoku by the stay at our retreat full of Japanese culture experiences. I’m born and raised in Osaka. Since I remember I like drawing and as I was growing the passion for the art also grew. At the same time as a kid, I was a part of a club run by Toyota where I got hooked on making robots. I’m a nerd, otaku – I like games, anime, manga. I studied design at the University of Arts and then I worked for Panasonic in the interior material division. I also love traditional Japanese culture. I learned the way of tea from my grandmother and it made me want to make the tea a part of my life. I’m constantly studying about tea, practicing various ways of the tea ceremony, visiting the tea plantations, tea utensils makers. I guess you can call me a tea otaku. I want to share my love for tea and the Japanese culture with you! As the art director of kishi–ke I’m doing my best to provide you with the exceptional and luxury experience at our retreat.